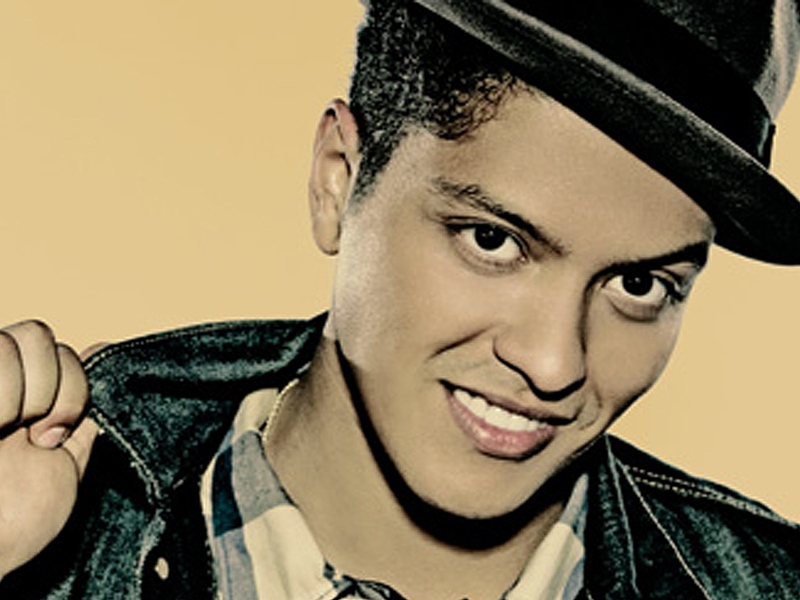 You are here: Home » Blog » ExploreTalent Singing Tips: Why Does Bruno Mars Sound So Good? ExploreTalent Singing Tips: Why Does Bruno Mars Sound So Good? Bruno Mars has one of those soothing voices that you don’t get weary of. In fact, his hit “Uptown Funk” with Mark Ronson keeps playing on the airwaves with little to no complaints. That’s because the music style is a good mix between 80s classic and modern pop—and Mars’s vocals soared high over the band, with the kind of smooth energy that wants you to listen to more. What makes Bruno Mars sound so good is that he is free of vocal tension. He has a certain control over his voice that makes it sound polished. Learning to sing is not always easy – it’s a complex process that needs talent and technique, so with practice, you too, can learn how to sound like the hip singer. Thinking of your body as a sort of resonating chamber, there are three main points to mark as your resonators: the throat, the nose, and the mouth. The throat is the first point, as this is where your voice box is located. This is where your hollow sound starts, so you have to relax yourself and your throat to utilize your pharynx for your vocal prowess. The nose is where the nasal quality comes from. If you don’t know how it’s supposed to sound like, think Backstreet Boys from the 90s. The mouth is how you shape your sounds in vowels and consonants – don’t worry if you have to open it wider – it will make you sound more articulate, so your listeners will not hear all mumbles. The ability to shift between and combine the resonators gives a “mixed voice,” something that many singers aspire. It could be frustrating at times because despite knowing where they are, their concept is abstract. Yet finding your own mix will give you a unique voice that is all your own in style and technique. Remember to allow your voice to roam free by releasing the tension in your body and prepare to sing. The shoulders should be kept relaxed at all times. Contract your muscles for a few seconds and release. Repeat this a few times, roll your shoulders back, and keep it loose. This is important because relaxed shoulders can help you breathe properly. As any singer would know – proper breathing is essential in singing! The neck muscles limit the resonance of your voice because of the location of your voice box. The tighter your muscles are, the less resonance you will be able to produce. To relax, do a few simple neck rolls slowly, gently, to lighten up your voice when singing. The jaw tension is the hardest to relieve. It is one of the last spots that singers can relax, but in order to be articulate and in tone, it is necessary to have to relax the muscles—and you can do so by yawning, chewing, or manually massaging the joints. Knowing where your voice most resonates and how to relax muscle points, while helpful, will not make you a good singer, but it is a start. These techniques are merely the stretching part of a workout. The next is to have to work with a vocal coach who can teach you exercises, help you coordinate your muscles, and keep you on tune. If you ever watched High School Musical and thought that Sharpay and Ryan’s vocalizing exercises looked silly – you’re in for a surprise. What they were doing is actually standard when you’re a singer. Vocalizing with open sounds can help you relax even further. Exercises can also warm up your muscles to make your tone flow naturally. Notice how some singers can sing high or low notes without effort, while others sound pinched or forced? Those who can sing freely have been consistent in their vocal exercise, which is why they can allow their voices to flow without much effort – it has become natural to them. Vocal warm-ups also balance the pressure you’re sending to your vocal chords, which makes it easier to sing through different vocal registers. It builds a bridge that helps you sing through your range without your voice faltering or breaking into a falsetto when you don’t want it to. Once you’ve mastered the art of taking off tension and have your vocal coach teach you necessary exercises to remain on-tune, singing becomes easier, and maybe even to the point of becoming as natural as breathing or talking.